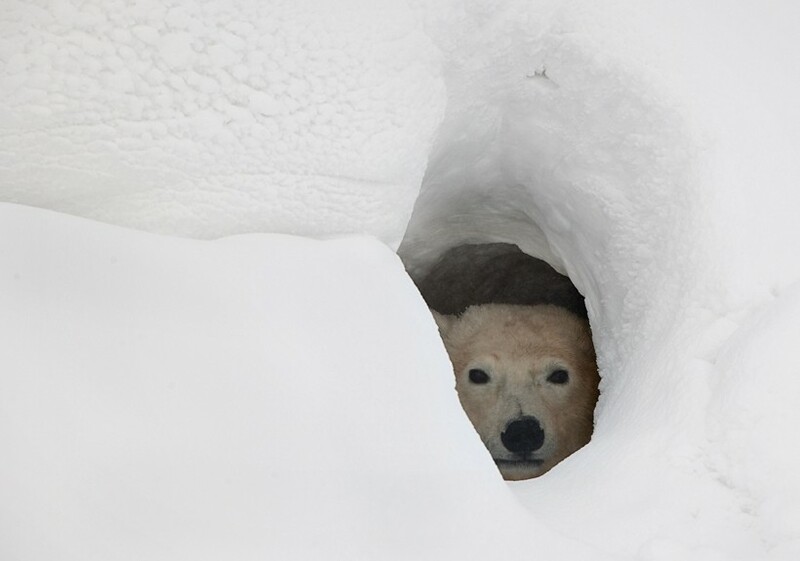 Home Behavior How Do Polar Bears Protect Themselves? How Do Polar Bears Protect Themselves? Polar bears sit at the top of the food chain in the Arctic—they are the apex predators. Adult bears do not seem to have any potential predators in the wild. Nonetheless, polar bear cubs are quite vulnerable to the dominant male bears. Polar bears do certain things that protect themselves from probable predators. Sometimes aggressive male polar bears eat their cubs particularly when they are starving. 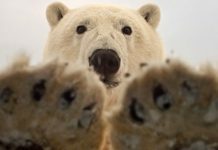 We’re going to discuss as to how do polar bears protect themselves from predators. 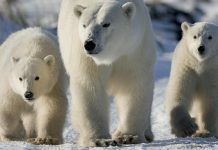 Although adult polar bears are strong enough to take down any arctic predator, the subadult bears let alone cubs are not that safe. They ought to choose quite many actions to prevent themselves from predators such as wolves and foxes. Just to let you know that polar bears are not true hibernators. They just enter into a torpor state in which they can recover quickly and actively respond to predators and so they are not really vulnerable even during deep sleep. 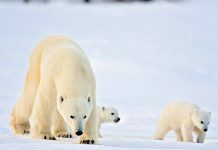 Polar bears are blessed with a dense white coat that almost makes the bear disappears into the white snowy background of the Arctic. 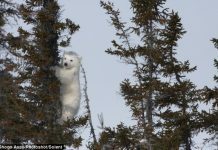 The camouflaging ability is pretty effective not only in polar bear cubs—it also protects the female polar bear from powerful dominant males. The female is only half the size of a male which is why it can barely fight with the mature male. The female polar bear keeps her cubs not only close to herself—it rarely allows them to get out of the den. Outside the den the cubs do play but under the watchful eye of their mother. Hungry male bears can find out the den and likely kills the cubs. But if the cubs stay inside the den they are relatively safer for male polar bears are too big to get into the den. The cave-like den has several entrances and it’s not possible for a male to get easy access to the cubs.